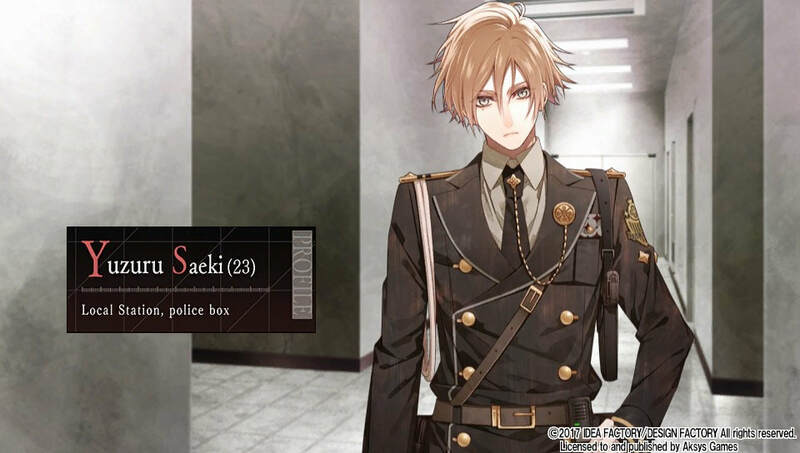 Publisher: Aksys Games. 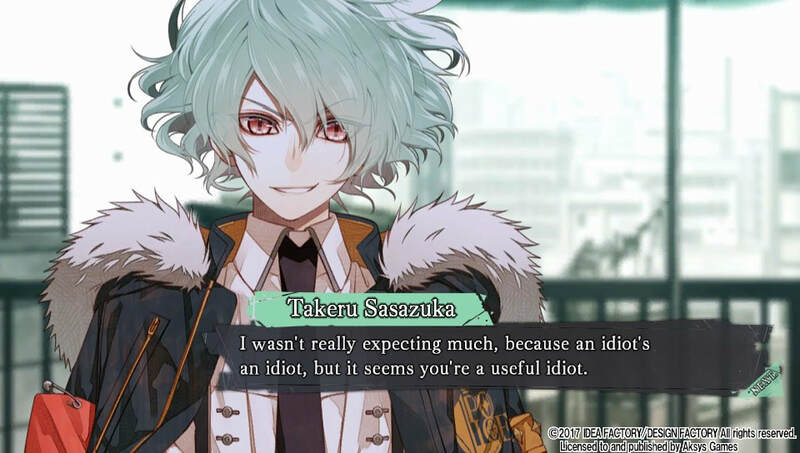 Developer: Idea Factory. Despite a prolonged struggle to gain traction in the western hemisphere, the PlayStation Vita has enjoyed an unexpectedly fruitful autumn to its life-cycle. This is in part thanks to the sustained support of indie developers, but can also be attributed to the rapid growth and enthusiasm towards, particularly in Japan, the visual novel. Collar x Malice represents one of the format's finest exhibits to date. Ichika has more immediate concerns however, namely an assault that sees her rendered unconscious and fitted with a poisoned collar. Her actions are being monitored by ADONIS, alongside a cryptic suggestion that she is considered of use to the terrorist organisation. Working with a five-strong team of ex-cops and investigators, she must uncover the connection and motivation behind the ADONIS's actions, free herself, and prevent a catastrophe. Steins;Gate focused its energies on a labyrinthine time travel yarn, ultimately to the detriment of its personalities, whilst Code:Realize spent much of its runtime nurturing character relations only to leave itself short in the storytelling stakes. Collar x Malice manages to strike a healthier balance. Characterisation is very strong, with a good mix of 'suitor' figures sporting definably different personalities, morals and goals, all of whom develop in an impressively well-rounded manner. Sure, Takeru is a little too sadistic, Mineo a little too hyperactive, but these quirks of personality remain readable due to a strong script. This goes for the secondary figures as well, with Ichika's relations, friends and police colleagues playing significant supporting roles. 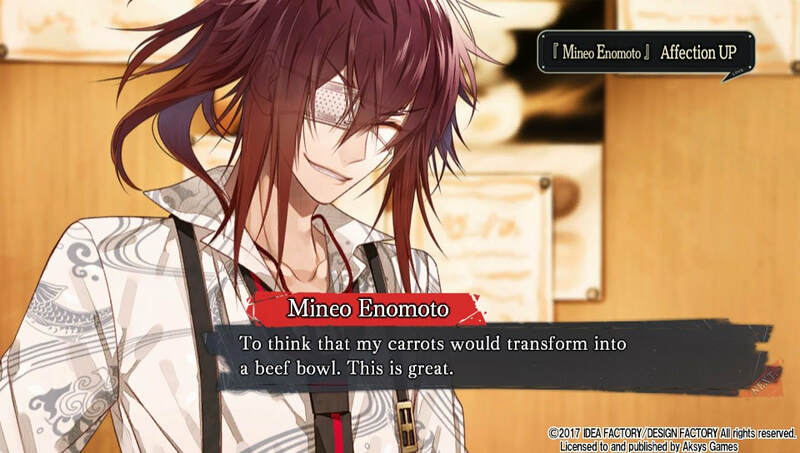 Even by Idea Factory's usual standards, CxM can be considered a spectacularly pretty game. Within the story, the quality of the animation is consistently very high; the characters look great and the variety of urban locales is spot-on, as are the sinister, grimy ADONIS video segments. The level of care is appreciable; additional features such as voicing extras and image galleries, so often delivered in a utilitarian manner, have instead enjoyed the same degree of style and attention lavished upon them as the more visible aspects of the story. Collar x Malice scores a lot of points for getting simple things right. Quicksave and Quickload options are ideal, easy ways in which to explore different eventualities, sometimes rescuing you from 'bad' endings, or from rubbing a character up the wrong way. Menus are easy to use, as are the touch screen functions the Vita allows for. 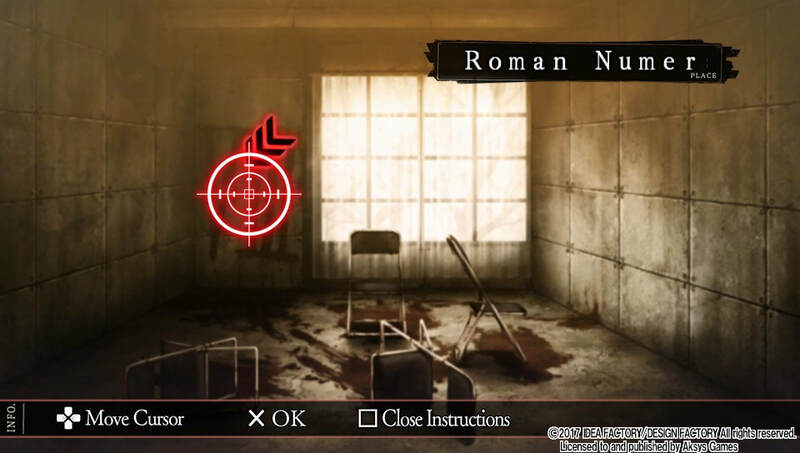 There's a chapter select for returning to specific points in the story, and accessing the five different plot strands is less fiddly than a lot of visual novels often allow for. The music is unspectacular though varied and effective, whilst CxM wisely sticks by its original Japanese voice track, so there's no hammy translation to ruin the atmosphere. It's extremely content rich, too. 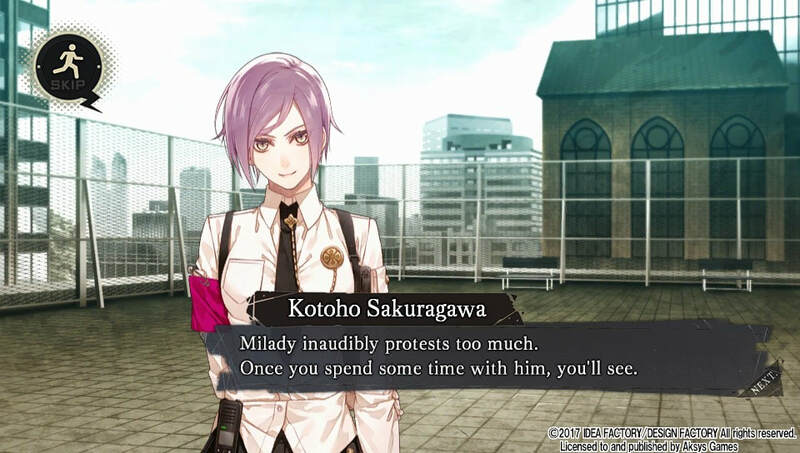 Though many lesser visual novels make the player retrace large sections of story you've already covered for a few snippets that you haven't, Collar x Malice's five character strands are all unique, thanks to their focus on different crimes. So whilst the odd event might seem familiar, there's little in the way of repeated content, which is highly impressive. All told, depending on whether you read as ponderously as this writer does, there's anywhere between thirty and fifty hours worth of story to enjoy here, which represents excellent value. 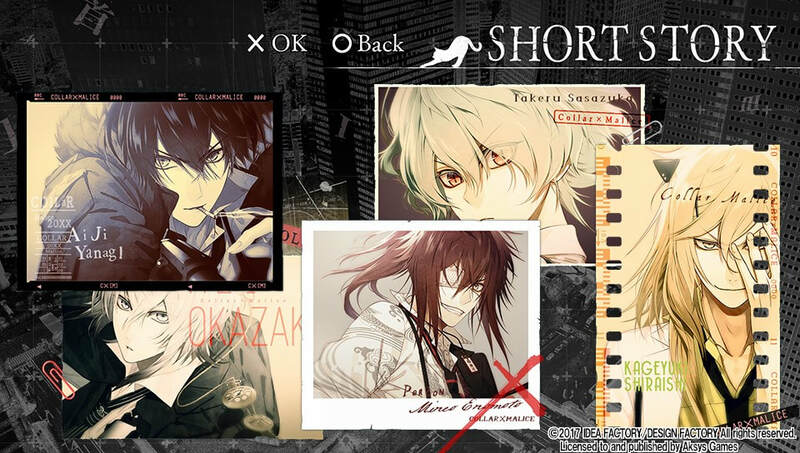 ​If you're into your visual novels, Collar x Malice is an easy recommendation. Whilst its story isn't quite as ambitious as Steins;Gate or Danganronpa, CxM makes up for it with an impressive balance of narrative content and character development. It's an eventful and inviting mystery, and one of the best of its kind on the system. 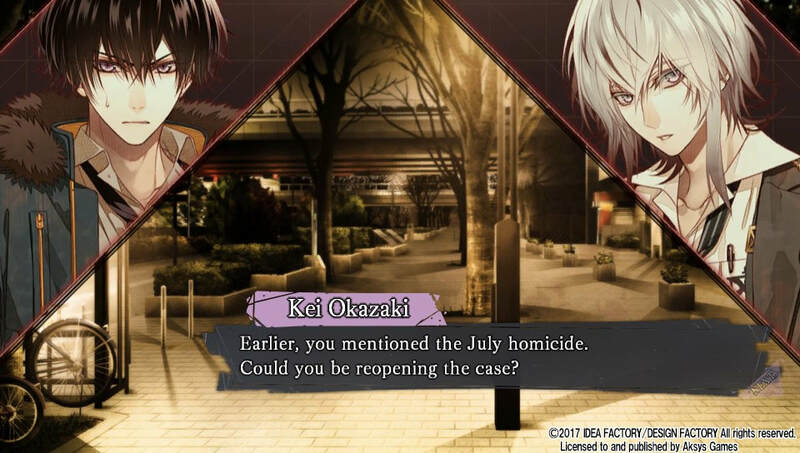 "​Visual novels have a tendency to lapse into indulgence over small or irrelevant details, but Collar x Malice mostly steers clear of this... It's an eventful and inviting mystery, and one of the best of its kind on the system."